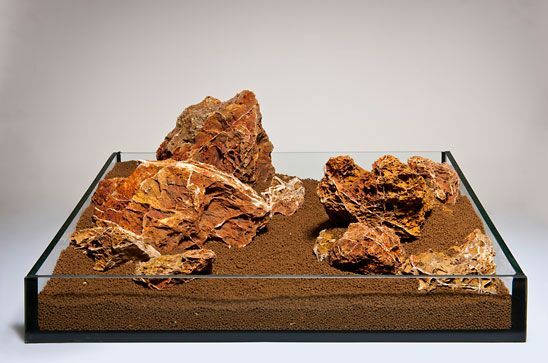 Maple leaf rock is an excellent rock for aquascaping. It is relatively easy to break in order to break down to the right size. It is also inert which makes it perfect for keeping shrimp as well. 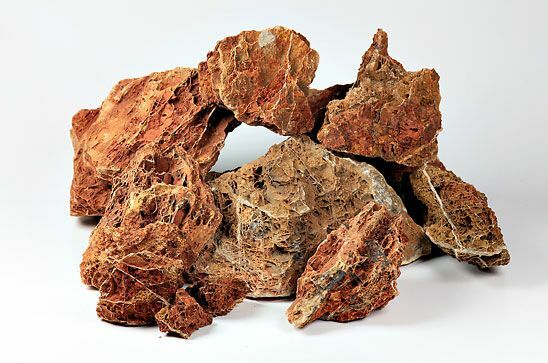 It's appearance is Reddish-brown rocks crossed by white veins. The surface looks like a spider web or layers of leaves. We would suggest using 10KG per 50L. For example, for a 100L tank use 20KG. An average piece weighs approximately 1.5 - 2.5KG. We aim to include a range of sizes and shapes. Characteristics Red/brown with think white veins. Web like apearance. I ordered 8kg for a 42gallon corner tank. I received one large and 4 smaller pieces of rock which combined with river wood was ample. This rock was quite dull and dirty on receipt. Once cleaned up however it looks superb. There are various shades of caramel,darker brown,brick red and grey combined with white veins. Ideal for making caves and anchoring plants to. Highly recommended just give it a good wash first. 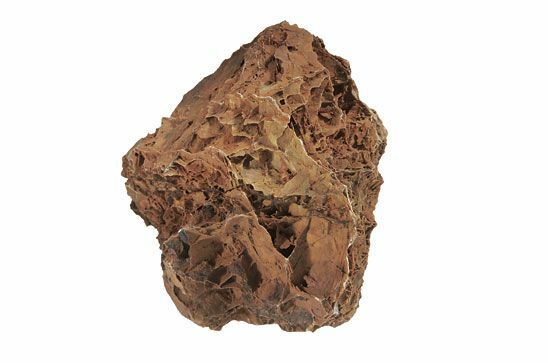 This Rock leaves others in the shade, Colour is superb & best way to describe it is... its a light toffee colour marbled with white( mine looks like a small snowy mountain) You will not be disappointed in purchasing this rock it really adds wow to your Aquarium.